The Bright Paper Packages team do their utmost to source from local artists and manufacturers from across the United Kingdom. 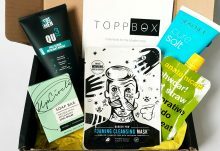 This is one of the subscription box’s strongest and most admirable selling points. Each month, I’ve been delighted to discover home-grown talent, from quirky stationery designers to wild inventive chocolatiers. The superior quality of an item made and finished by human hands is immediately perceptible; it imparts an essence of individuality to each piece. This and the limited runs of these small batch items make them exceptionally unique. This month, Bright Paper Packages has honed in another theme that is intrinsically linked to our love for local: ethically made products. October’s box infuses both of these concepts together, celebrating items that aren’t only achingly beautiful, but also that have a purpose. Each of the items sees proceeds channelled back into local economies or charitable companies. If there was ever a feel-good subscription box, this is it; subscribers not only receive their regular trove of covetable treasures, but they’ve also contributed towards the welfare of others. Part of the thrill of a Bright Paper Packages box is in the unwrapping. A simple cardboard box houses a series of presents that are individually contained within colourful tissue paper or striped paper bags. The simple pleasure of opening a gift is a novelty that never tires on me, and anticipation builds as each item is delicately revealed. Never having an indication of the monthly theme in advance makes the element of surprise even more pronounced. The first item is a simple brass bangle, handmade by women in the Flowering Desert Project in Tamil Nadu, India. Although minimalist, it has the beauty of an artisanal piece, evident that it has been cut and planished – which is the method of smoothing down metal- by hand. It’s easily pliable and stretches to fit over the wrist and is adorned with two small leaf charms. Its simplicity makes it a piece that’s easily adaptable and worn, even by those who are restrained in their approach to embellishments. The subscriber card explains that the profits from the sale of these bracelets provide the women workers with a wage and the skills to increase their employability in other fields. Another hand crafted item that wouldn’t necessarily have caught my eye in a shop or market is the small felt purse from Aura Que. My initial thoughts were that the material was unusual for a purse and that the colourway wasn’t to my personal taste (a mix of grey and orange). But it became apparent why these materials were used- the purse is hand-felted, prepared with 100% wool and azo free dyes. Made by Nepalese women who are employed under fair trade principles, this purse carries important symbolism- a reminder of what we take for granted in a more progressive society, where women can define their own career and the opportunity for social mobility is more accessible. While not my normal style, I like the idea of a constant reminder of the difficulties that still exist in the world and the changes that we should aspire to make. Finally, the third item is a bar of handmade soap from Soap Co, hailing from the Lake District. The soap is formed using a cold process method and is composed of only natural oils. Scented with black poppies and wild figs, this soap smells absolutely divine without a sniff of artificial aromas. Clean and natural, this has been crafted by employees who are blind or disabled and are offered safe and pleasant working conditions. All profits are fed back into the company to allow them to create more jobs. This was my favourite item this month because I’m a natural product junkie and like the luxury of an old-fashioned bar of creamy, moisture-rich soap. There’s a nice poetic association between a clean body and a clear consciousness too, so this item is perfectly apt in compliance with the ethical theme. October’s Bright Paper Packages box presented a digression from previous offerings. In the past year, I’ve received bundles of trinkets and goodies made in the UK and, in the process, have discovered new designers and brands that I’ve continued to support. This box’s theme sees contribution from two sources that are further afield, in India and Nepal. The result is a very different feel, where the visual impact of every component isn’t emphasised upon- it might be slightly divisive for some subscribers who prefer more high-impact, colourful pieces. But I personally appreciated the moral significance of each item. 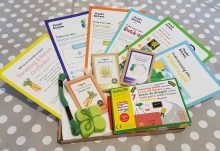 There are two Bright Paper Packages subscription options: the standard monthly box and the Bright New Year option, delivering twelve monthly surprise items directly to a recipient of your choice. The regular Bright Paper Packages subscription is available at £20 with shipping included for a one-off purchase (and other subscription options are also available at £57 for three months, £111 for six and £216 for one year, all including UK shipping). The Bright New Year is available for a one-off payment of £100 (with shipping included in the UK). Given this shift in gears, it will be fascinating to see what territory that November’s Bright Paper Packages strays into. The element of surprise is perhaps why I covet my boxes so much, so I welcome a bit of subversion to keep me guessing! 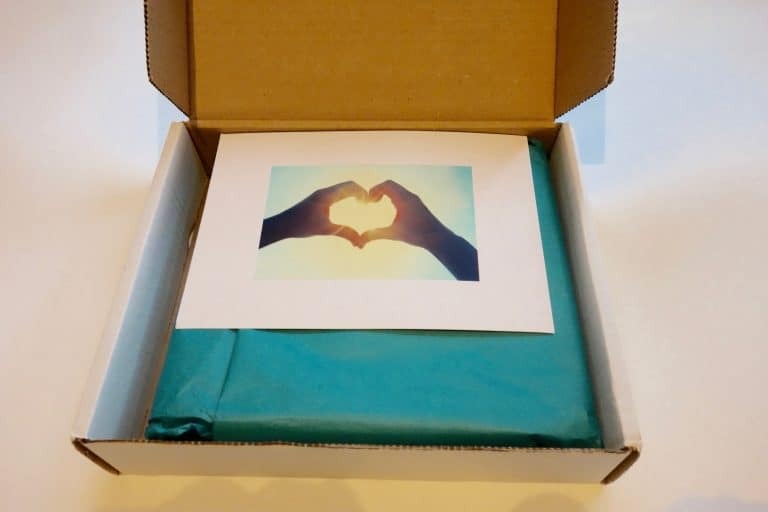 October sees Bright Paper Packages wander into somewhat unfamiliar territory, but the selection of ethical gifts are interesting, especially given their role in funding a series of beneficial projects and companies.